Wrongful death cases are some of the most difficult. No amount of money can make up for the loss of a loved one. When you lose someone you love in an accident that isn’t their fault, it’s one of the worst pains imaginable. It’s natural to feel like you have to take the burden on entirely by yourself, but that isn’t the wisest course of action. Our wrongful death attorney in Los Angeles team is here to make this incredibly difficult time just a little bit easier on you. In the wake of the wrongful death of a loved one, there are so many things that you have to do. Let us take your case. Having one of our wrongful death lawyers take your case can give you the peace of mind that comes from knowing that a professional is working on your case. There is so much that goes into a wrongful death case, it can be almost impossible for a regular person to deal with it all. Add on top of that the grief that comes from losing someone you love and it becomes genuinely impossible. Here at the LA Injury Group, we have years of experience with wrongful death cases. We can put that experience to use for your case, so that you and yours can get the compensation that you deserve. The regular person doesn’t realize how much goes into a wrongful death case. If you’re like most people, you may just think it’s a question of talking to the other side and getting them to agree to give you the compensation you want. Unfortunately, so much more goes into it than that. You need a wrongful death attorney in Los Angeles on your side that’s been there before, who knows what the insurance company (and others) is going to try to do and how to counteract it. The stakes are high in a wrongful death case, and having an experienced lawyer on your side can make all the difference in the world. The insurance company often tries to take advantage of the survivors in a wrongful death case. They know that you’re hurting, that you’re vulnerable, and that you probably need money very quickly. Employees of the insurance company also understand that they know insurance regulations and rules far better than you. So, they’ll try to use all of that against you to make sure that you get less money than you deserve for the passing of your loved one. However, they may try to do that in a very paradoxical way: by offering you a settlement. 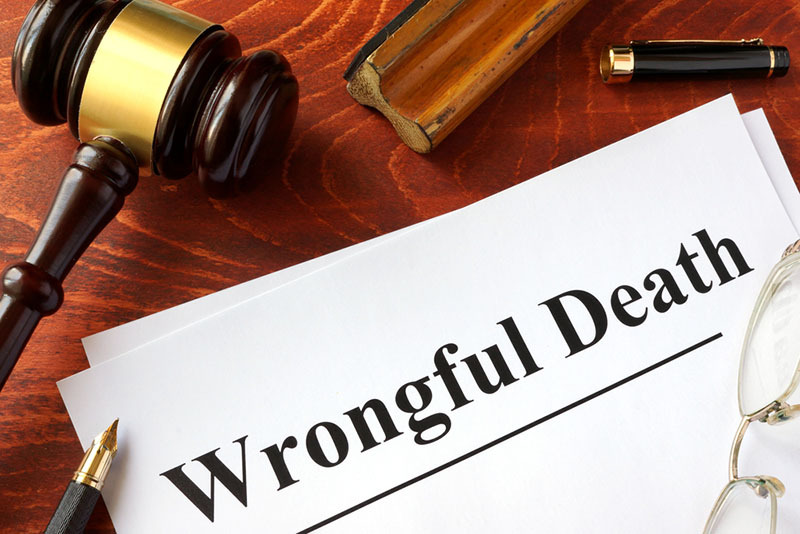 This is a tried and true insurance company tactic that our wrongful death attorney in Los Angeles team has seen again and again: they offer the survivors a deal that looks very good very quickly. They do that because they know what your case is worth. If they offer you a lot of money soon after the wrongful death, it’s because they know that your case is worth so much more than that. If the insurance company can get you to sign a deal for less than your claim is worth, they’ll make money. They’ll have won. So, to that end, never sign something from the insurance company without letting our wrongful death lawyers look at it first. You have nothing to lose by letting us take a look at it before you sign it. If it’s a good deal (and it won’t be) we’ll let you know. See, we have experience with the insurance regulations, rules and norms, too. We know what the insurance company knows. So, we can tell you whether what they offered is a good settlement. If it covers everything it should, we’ll let you know. That being said, it won’t be. The insurance company is almost always anxious to settle in a wrongful death case. Their business model depends on survivors like you not getting what they’re owed for having suffered a loss in their family. Indeed, it’s how they make the most money. So, when you hire a wrongful death attorney in Los Angeles, it’s a sign to them that they can’t just take advantage of you. They can’t just muscle you out and get you to sign something that’s so much less than what you (and frankly, your loved one) deserves. That being said, one of the more overlooked reasons to hire our wrongful death attorney in Los Angeles is for the investigation. After your loved one suffers a wrongful death, the insurance company (and anyone else on the other side) will launch an investigation. As an insurance company has almost unlimited resources, they can bring in the best investigators. They’ll have investigative professionals with years of experience. All of that will be put to use for one goal and one goal only: making sure that you’re given as little money as possible. That’s all the more reason to have us on your side. See, we have investigators, too. We can put them to work on finding out what really happened. That way, you won’t be taking on the insurance company’s investigators on your own – you’ll have investigators and evidence backing you up, too. This can be incredibly crucial in a case, as evidence tends to disappear rather quickly. If your loved one passed in a car accident, physical evidence (skidmarks, dented trees, etc) can disappear in a hurry. If it happened in a slip and fall accident or in a location, the owner might do what they can to get rid of the evidence quickly. With investigators on your side, the truth can be known. The investigation of a wrongful death case, of course, isn’t limited to the physical evidence. In all likelihood, there were witnesses to the wrongful death. You want to have a trained investigator on your side talking to these people. This can be a crucial facet towards you getting the damages and compensation you deserve, as eyewitness testimony can be incredibly powerful. Even if it’s long after the evidence, we can work to make sure that the witnesses are found and our investigator can get their testimony. Another reason to have a pro wrongful death attorney in Los Angeles on your side is that we can provide an objective look at the case and the facts. Your emotions are likely to be intense and powerful in the wake of a wrongful death. It’s not easy to look at what’s going on in a removed, objective fashion. You’ve just been through one of the toughest things that a person can experience. Here at the LA Injury Group, we’ve seen these kinds of cases so, so many times. We can make the right decisions for your case from an objective point of view. That way, what you’re feeling isn’t detrimental to your case. It’s one more service that we can provide. Our lawyers are experts whether we’re in the courtroom or in the negotiating room. Most wrongful death cases don’t make it to court. So, it’s critically important to have someone on your side who knows how to negotiate. We have a track record that goes back several years in terms of getting our clients the compensation that they deserve. It’s not easy to negotiate with insurance companies and others. Having a practiced, professional negotiator on your side can make all of the difference in the world. We understand how difficult a wrongful death case is. We want to make the process as easy on you as we can. That’s why we make it simple to schedule a free consultation with us. You can do so by either calling us at (818)210-4558 or going to our website. Then, we can sit down with you and figure out the best path forward for your wrongful death case.